A pressure and lobby group, Justice Advocacy Group, has advised the leadership of the All Progressives Congress (APC), to give political offices in the 9th Assembly to reflect regional balancing. 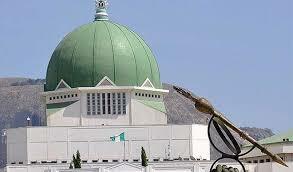 In a statement, on Monday by the coordinator of the Group, Akintunde Lawal, the body said Nigeria cannot afford a repeat of the feud that characterized the 8th assembly, where the leadership of the National Assembly and the executive could not work together in the interest of the nation. He stated: “Now that APC has won the elections, the critical issues should be how the APC will deliver to the electorates the dividends of democracy. “The In coming Nigerian legislature can not afford any unnecessary feisty political relationship with the executive and to forestall this, the APC leadership must do what is right. “There must be justice and fairness as enshrined in the constitution of the party and Nigerian constitution. “So it is incumbent on the party to reflect political balancing in considering the leadership of the 9th Assembly. “All the zones must be considered on the basis of equity as enshrined in the APC constitution. He further noted that ceding the positions to the appropriate zones “would not amount to sacrificing competence but strengthening the foundation of democracy in the country,” adding that It is important that every geopolitical zone in the country has a sense of belonging.